Pressure on Marriage and Sexuality: More churches are caving to the world’s standards on marriage, gender, and sexuality. Rather than respecting these values as eternal gifts from God, more churches are accepting the modern view that these institutions and traits can be changed. Pressure on Sanctity of Life: Ham urged church leaders and pastors not to stop the fight for life at all stages. Loss of the Young Generation: More young people are leaving the church and embracing the worldly culture instead. Many give up their Christian faith by the time they enroll in college. Increase in Liberal Pastors: Many pastors are teaching their flock, including youth, to put man’s ideas ahead of God’s Word. 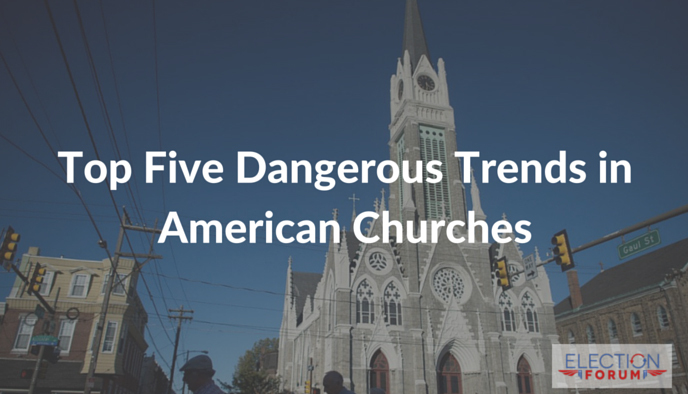 Many church-goers no longer approach issues from a Biblical perspective. Great subject! No greater issue faces Christians as individuals, church leadership, and maintains America’s existing trajectory toward national-suicide. Christians exist with the continual opportunity to either offend or glorify God [REV. 3-16 – So then because thou art lukewarm, and neither cold nor hot, I will spue thee out of my mouth]. And as evidenced in verses like Ezekiel 3:20, not engaging in biblically mandated ‘works’ thereby evidencing ‘dead faith’ can offend God as much as sinful actions. JAMES 2:20 – BUT WILT THOUGH KNOW, O VAIN MAN, THAT FAITH WITHOUT WORKS IS DEAD. Inherent in this issue is the issue of why we were created – which was to choose faith in Jesus Christ, THEN GLORIFY CHRIST WITH WORKS evidencing our faith is true and not assumed. ‘Works’ generally classified within the following five possibilities in order of priority. 1) Personal relationship with Christ. 2) Christ within the context of the family. 3) Bringing Christ to a fallen world. 4) Aiding the needy (to the exclusion of government doing so). 5) Opposing evildoers by displacing them with representation of Christ. I investigated the question of what caused the change from America’s pre-1900s erratic trajectory toward prosperity, to a post 1800s hundreds trajectory toward national-suicide. I read 72 sermons from between the years 1620 and 1900, attended several churches in various parts of America, and continually listened to many pastors teachings. The difference between pre-1900s Christianity and Post 1800s Christianity became clear. Pre-1900s versus post 1800s Christianity evidenced a substantial difference in the form of the pulpits calling for Christians to engaged in ‘works’ representing Christ in society and government, which increasingly became rare post-1800s. Bottom line is that, though there are exceptions, pre-1900s Christianity maintained a far higher level of Biblicaly defined ‘works’ ensuring Christ was represented in society and government to the exclusion of competing and pathological worldviews and governance. During America’s founding and subsequent years whereby slavery was fought and ended, there was a continual battle between true Christianity and ‘enlightened-humanists’ infecting America’s churches and government – thankfully, true Christianity dominated then, unlike today. Without the pre-1900s call for ‘works’ representing Christ in society and government, British tyrants would never have been cast-out, slavery would have continued, and abortions may have begun a century earlier as the procedure did exist, etc. This, while Post 1800s Christianity ensures Christians are comfortable not engaging in ‘works’ necessary to represent Christ in society and government – which has resulted in the murder of 55 million unborn children, and countless other God offending sociological and governmental pathologies. Post 1800s Christianity has created a ‘Christ-void’ in society and government that has been filled by humans not contained by the Word of God thereby infecting America with the moral-relativism, and the byproduct of moral-relativism within the context of our constitutional-republic form of government which is constitutional-deconstructionism. Ultimately, those destroying America post-1800s have merely been filling the ‘Christ-void’ left behind by a version of Christianity minimizing focus on the portions of Gods Word warning that true faith always produces ‘works’ as called for in James, Chapter 2, and many other portions of the Bible. I have respectfully contacted pastors assigning America’s emaciated and God offending condition to “the providence of God” as part of an end-times scenario. Pastors applying the word of God to everything except the obligation to represent Christ in government. Pastors spending more time on ‘The Rapture’ than calling for works glorifying Christ. Pastors sighting the absence of politics in the lives of the Apostles as justification for not calling for the representation of Christ within our constitutional-republic (as if the apostles lived in a form of government allowing for representation of Christ within government but ignored such an opportunity to glorify Christ). Other pastors define our obligation toward government as that which is found in Romans 13:1-2, while minimizing the specific ‘qualifiers’ God places on that which constitutes godly government found it in Romans 13:3-6. Pastors teaching the books of Matthew, Mark, and Luke where it states “give unto Caesar that which is Caesar’s” without defining that which constitutes the biblical version of ‘Cesar’ within the context of America’s constitutional republic form of government. And then there’s the rare precious few pastors applying the word of God according to its original intent. The biblical version of Cesar in our constitutional-republic is the entity to which America’s politicians, law-enforcement, and military ‘take an oath’ to preserve, protect, and defend – much like those at the time of Cesar took an ‘Oath to Cesar.’ America’s ‘biblical version of Cesar’ within the context of America’s constitutional republic form of government is ‘the original intent of America’s amended constitution.’ A rule of law defining the our opportunity to represent Christ in government, recognizing rights sourced from God not government, and highly limiting the powers of federal government in favor of the states. NOT a part of America’s biblical version of Cesar is the intent found in many of America’s constitutional-deconstructionist Supreme Court rulings which can be overturned by the U.S. Congress – NOT the intent assigned by those ‘anointed’ as conservatives and ‘constitutional experts’ on ‘establishment’ globalist Rupert Murdoch’s Fox News network – and NOT the GOP. A GOP which must be cleansed of the ‘establishment’ constitutional-deconstructionist infecting it like a cancer. Today’s ‘works-deficient’ version of Christianity overly focuses on ‘experiencing Jesus’ at the expense of engaging in ‘works’ glorifying Jesus and evidencing faith is true and not assumed. We pray for the things, like saving America from destruction, but choose NOT to engage in ‘works’ to the glory of Christ necessary to save America. This, as if God exists as an ‘Almighty Service Provider’ whose job it is to remedy America’s pending destruction. Though America’s destruction is caused the failure of 98 million people in claiming Christ to engage in ‘works’ evidencing they find Christ worth more than just reading and talking about. America’s emaciated and deconstructed condition evidences a post-1800s version of Christianity not finding Christ worth representing in society and government. 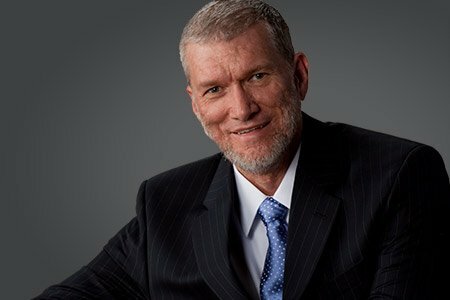 Craig, I’m a very big fan of Ken ham and fully intend to make a trip to his Creation Museum one of these days. People & churches have lost their way and he is great at getting back to the root & foundation. Cincinnati isn’t exactly a real hot vacation spot but I feel compelled to see it. Ken Ham, love that guy. Going to his Creation Museum is one of my objectives. Maybe in Oct next year. Watched many of his lectures.